Running a business is no less than fighting an actual war. In a particular market, the whole thing boils down to either prevailing against your competitor or succumbing to their ability to prevail against you. 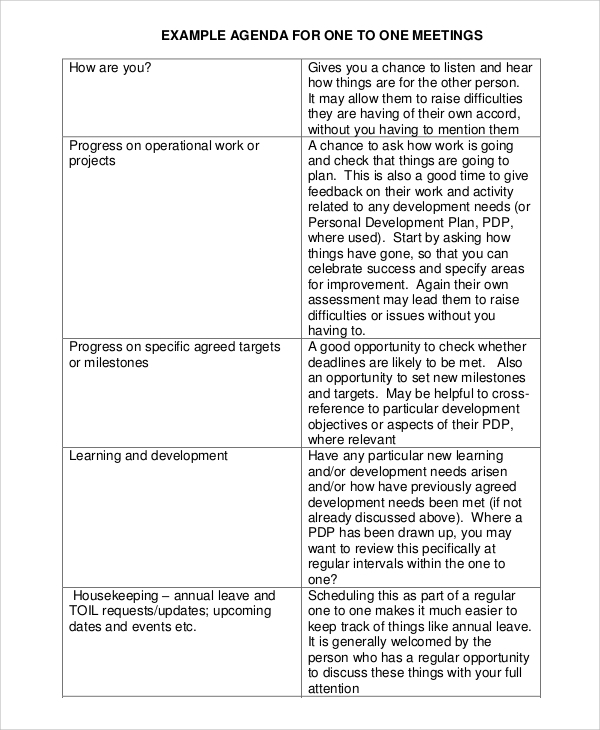 In order to prevent from getting lost into obscurity and growing from strength to strength, meetings are an important way to plan approaches, and having pertinent agendas is equally necessary. 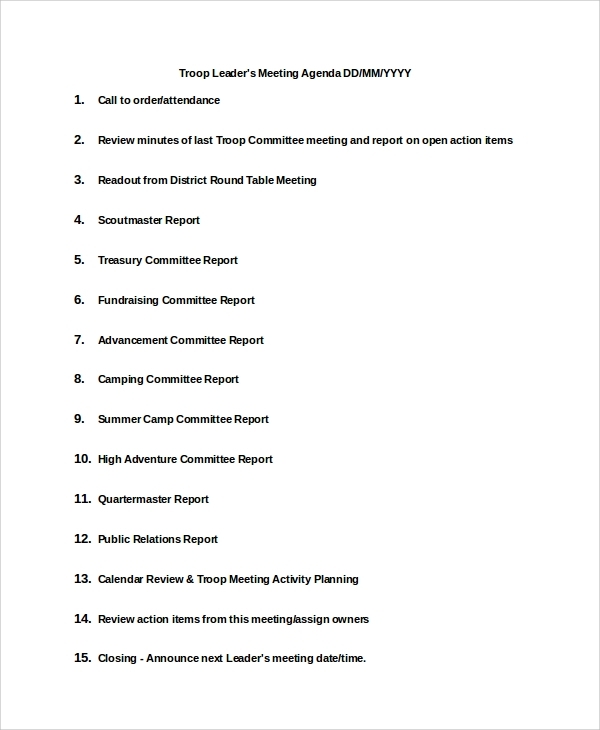 The following is a list of Sample Meeting Agendas for meetings. 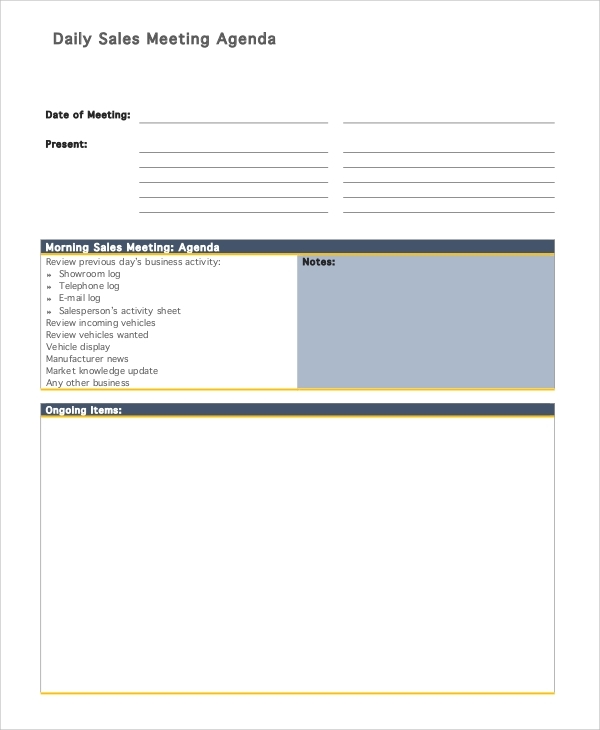 This Business Meeting Agenda Samples format for a business meeting agenda, where particular details regarding the agenda might be filled in by the organizers of the meeting to inform the participants. A weekly Staff Meeting Agenda Samples is a meeting where the members of the staff meet once in a week to review their actions over the past week and plan for the next week. 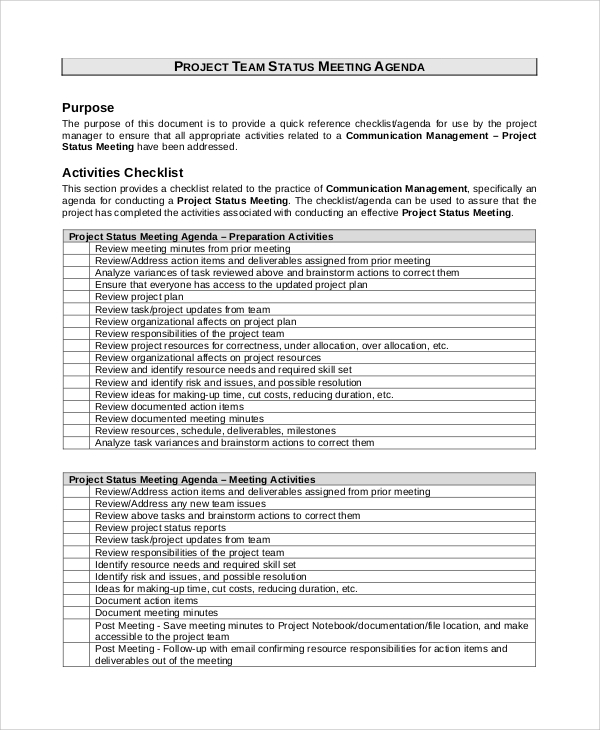 This type of meeting occurs when the team in charge of a project wants to check their status and progress with regards to the completion of a particular project on time. Meetings are literally the lifelines for an enterprise proper functioning in an environment filled with competitive competition. Thus, it is useful to have an agenda prepared before the meeting takes place so that all the participants know about the issues on which the meeting would be held on, and preventing the digression from the agenda of the meeting, thereby saving valuable time for everybody. 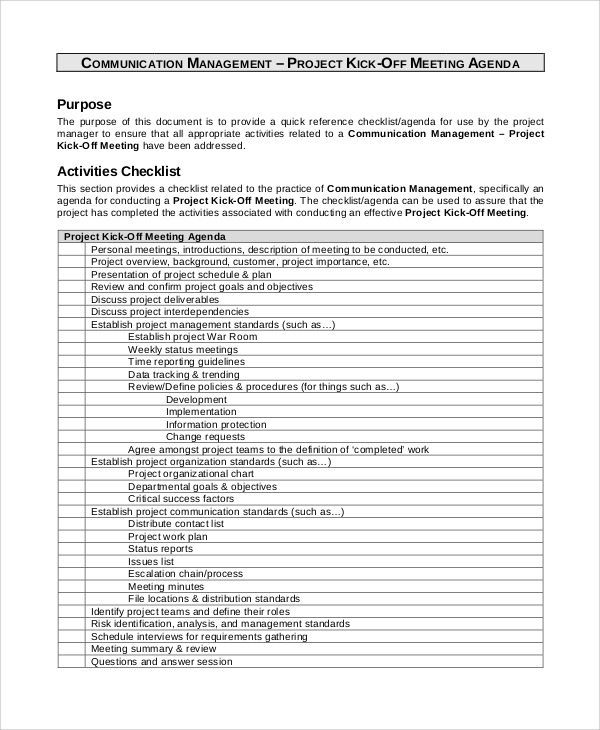 A good Sample Board Meeting Agenda should be a brief, concise and to the point, describing the list of issues on which the participants need to speak about and vote on so that the firm can enact a consistent policy. 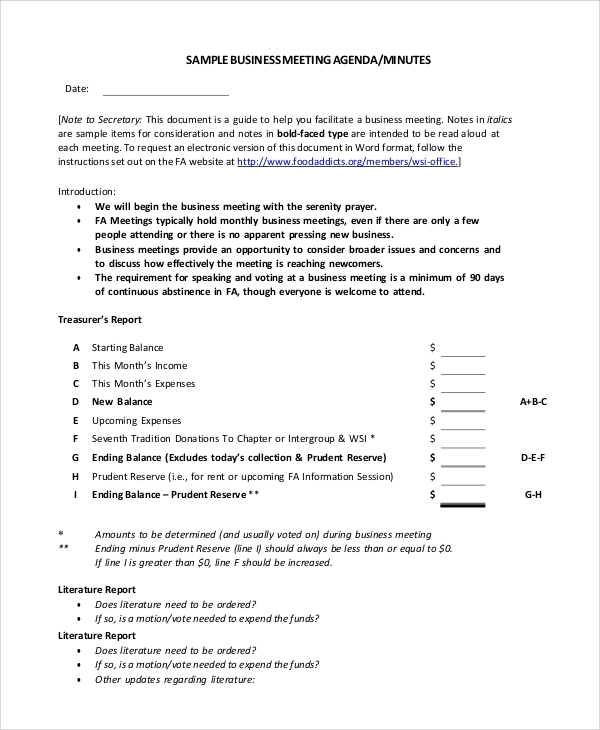 This type of Sales Meeting Agenda Samples consists of developing strategies for increasing sales by procuring information from sales reports on a daily basis, thereby remedying any issues which sales may face. 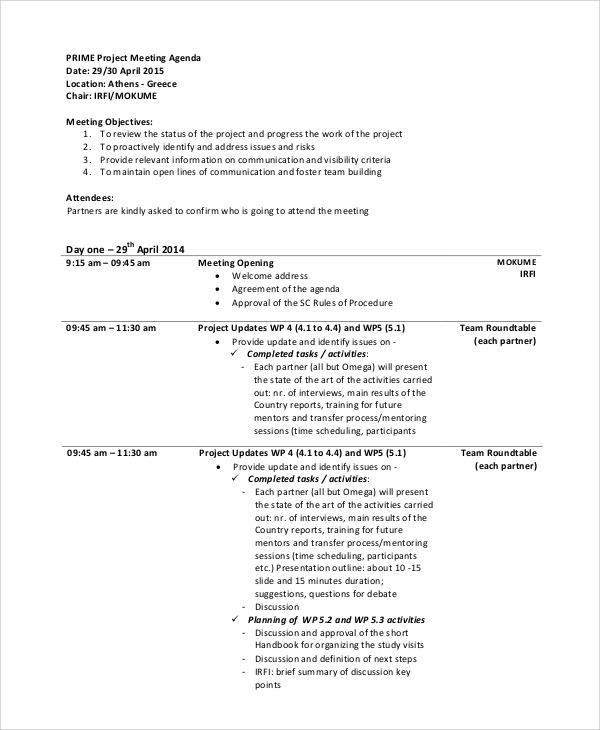 This type of meeting agenda focuses on the issues with which a committee has been assigned to investigate and file a report on its findings and conclusions for the management. 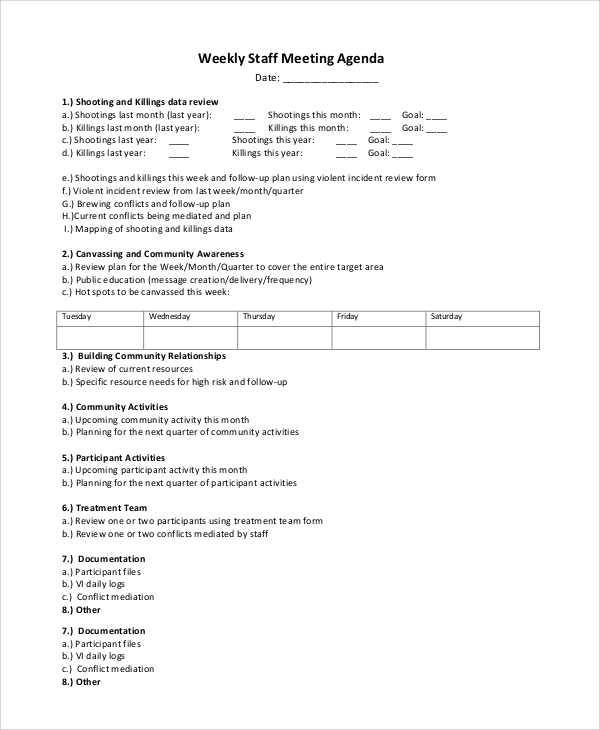 The sample meeting Agenda Samples are targeted towards all kinds of business organizations, chiefly those of a corporate nature, where meetings are utilized to arrive at policy decisions and their implementation at the organizational or departmental level. 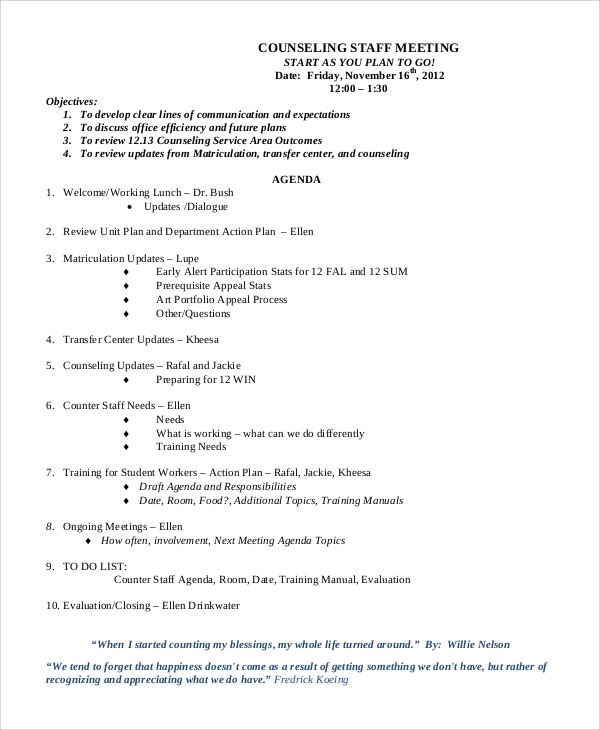 Knowing how to write meeting agendas properly is an art in itself- a balance needs to be available between brevity and the conveyance of information to all the persons concerned. Therefore, if written correctly, the agenda of the meeting can be known in only a few minutes of reading the agenda document, saving the readers time and yet providing them with all the information they need. We have a large number of Agenda Samples with us, from which you can choose the one which suits your needs. 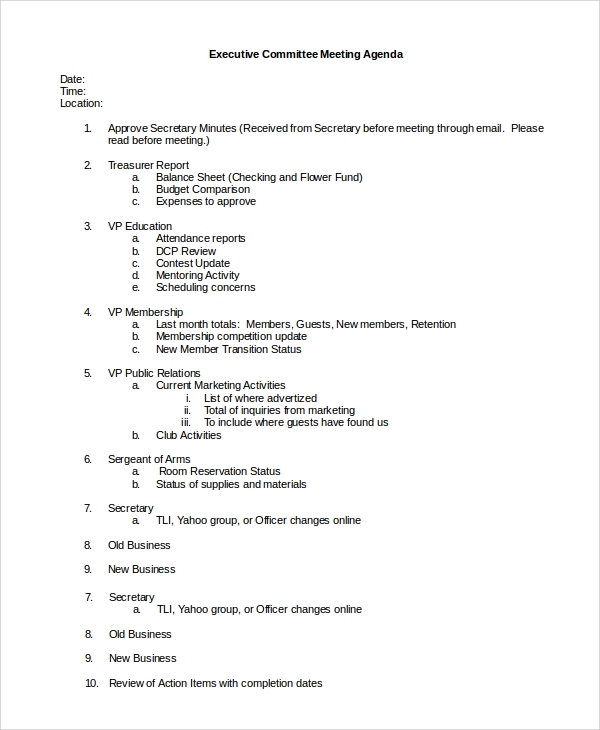 All of them are completely editable, which means you can insert and edit any kind of information which is pertinent to the meeting’s agenda, making it a meeting agenda.